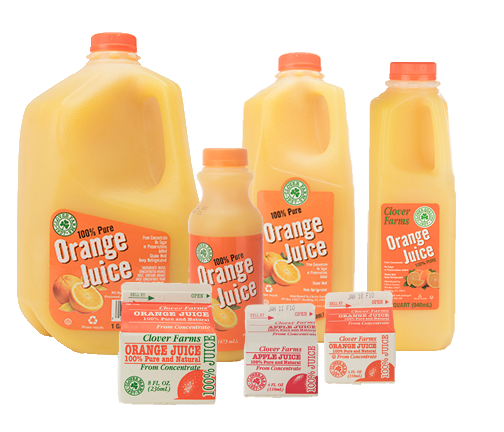 It’s a great time to compare apples and oranges! 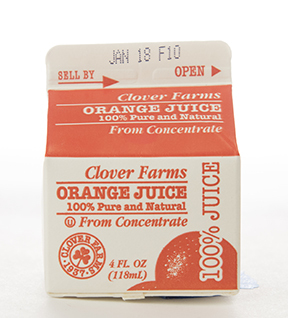 That’s because Clover Farms 100% fruit juices are made from pure fruit juice! 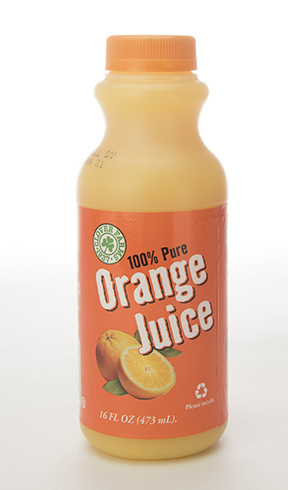 They’re a thirst buster that beats the pulp out of sodas! 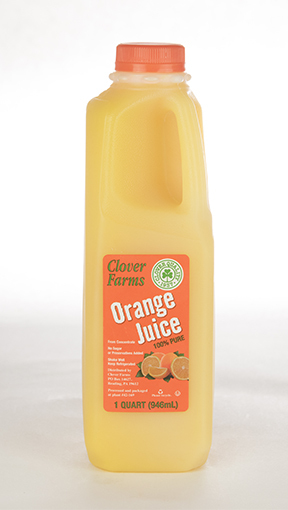 Put the squeeze on soda and serve them 100% fruit juices from Clover Farms instead. 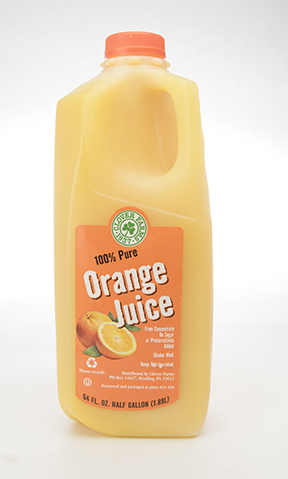 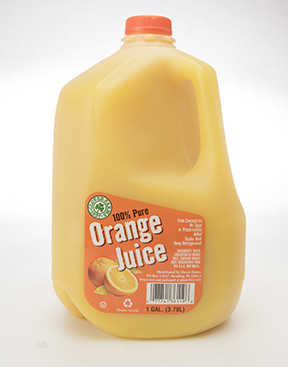 is 100% pure and natural orange juice. 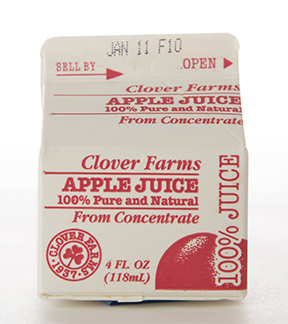 is 100% pure and natural apple juice.